Boris Babacar Diaw-Riffiod, better known as Boris Diaw (born April 16, 1982), is a French retired professional basketball player who last played for Levallois Metropolitans of the LNB Pro A. Diaw, who began his professional career in Pro A, returned to that league after 14 seasons in the National Basketball Association (NBA). He plays mostly at power forward. In 2006, Diaw was named the NBA's Most Improved Player as a member of the Phoenix Suns. He won an NBA championship with the San Antonio Spurs in 2014. Diaw represents the senior French national basketball team internationally. He won a FIBA World Cup bronze medal in 2014, a EuroBasket title in 2013, a silver medal in EuroBasket 2011, and two bronze in EuroBasket 2005 and EuroBasket 2015. He earned an All-EuroBasket Team selection in 2005. From 2001 to 2003, Diaw played for Pau-Orthez of the LNB Pro A. In 2002, he competed in the league's All-Star game and the Slam Dunk contest. Diaw was selected by the Atlanta Hawks with the 21st overall pick in the 2003 NBA draft. On July 10, 2003, he signed a multi-year deal with the Hawks. In August 2005, he was traded with two future first round picks to the Phoenix Suns in exchange for future teammate Joe Johnson. In Phoenix, Diaw blossomed into an all-round player, playing any position from center to point guard and garnered the nickname "3D" because of his multidimensional play (his motto being "drive, dish, defend") and the combination of his number (3) and surname. Diaw averaged 13.3 points, 6.9 rebounds, 6.2 assists and 1.0 blocks per game on 52.6% field goal shooting and 73.1% from the free throw line in the 2005–06 season where he played both forward positions and then center after injuries to Amar'e Stoudemire and Kurt Thomas. Diaw recorded his first career triple-double on January 31, 2006 when the Suns defeated the Philadelphia 76ers at Philadelphia, 123–99. Diaw had 14 points, 13 assists, and 11 rebounds, as well as a block and zero turnovers in 39 minutes. He recorded his second career triple-double shortly afterwards on March 5, 2006 when the Suns defeated the Dallas Mavericks, 115–107. On April 14, 2006, Diaw recorded his third career triple-double when the Suns suffered a loss to the Golden State Warriors, 110–102. Diaw had 11 points, 11 rebounds, and a career-high 16 assists, while adding three blocks and two steals in 42 minutes. Two days later, Diaw recorded his fourth career triple-double against the Los Angeles Lakers as the Suns lost 109–89. During the 2006 NBA playoffs, as the Suns' starting center, Diaw averaged 18.7 points, 6.7 rebounds, 5.2 assists and 1.1 blocks per game. In Game 1 of the 2006 Western Conference Finals against the Dallas Mavericks, Diaw scored a career-high 34 points, including the game-winner with 0.5 seconds remaining in regulation, to help the Suns to a 121–118 victory. On December 15, 2006, Diaw recorded his fifth career triple-double in a victory against the Golden State Warriors. On December 10, 2008, Diaw, along with Raja Bell and Sean Singletary, was traded to the Charlotte Bobcats in exchange for Jason Richardson and Jared Dudley. On September 28, 2011, Diaw signed with JSA Bordeaux of France for the duration the 2011 NBA lockout. In December 2011, he returned to the Charlotte Bobcats. On March 21, 2012, Diaw was waived by the Bobcats. Two days later, he signed with the San Antonio Spurs for the rest of the season. On July 12, 2012, Diaw re-signed with the Spurs to a reported two-year, $9.2 million deal. Diaw helped the Spurs reach the 2013 NBA Finals where they faced the Miami Heat. San Antonio lost the series in seven games. 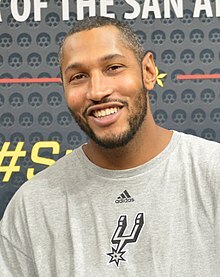 On June 15, 2014, Diaw won his first NBA championship after the Spurs defeated the Miami Heat 4–1 in the 2014 NBA Finals. He was inserted into the starting lineup beginning with Game 3, and he led all players in the series in total assists (29) and was second in total rebounds (43) behind teammate Tim Duncan (50). Diaw averaged 35 minutes per game in the Finals, an increase of over 10 minutes from the regular season. On July 15, 2014, Diaw re-signed with the Spurs to a reported three-year, $22 million contract. On August 1, 2015, Diaw played for Team Africa at the 2015 NBA Africa exhibition game. On July 8, 2016, Diaw was traded, along with a 2022 second-round pick and cash considerations, to the Utah Jazz in exchange for the rights to Olivier Hanlan. In early November 2016, Diaw missed eight games with a right leg contusion. On July 13, 2017, he was waived by the Jazz. On September 17, 2017, Diaw signed with the French team Levallois Metropolitans for the 2017–18 season. Diaw announced his retirement via his Twitter account on September 6, 2018. Diaw playing for France in 2015. In 2000, Diaw won the FIBA Europe Under-18 Championship with the French junior national team. In July 2006, Diaw was named the captain of the senior men's French national basketball team. He won the bronze medal at the EuroBasket 2005. Diaw led the French team at the 2006 FIBA World Championship, with 107 points and 22 assists, in 9 games. In 2013, Diaw and the French team won the gold medal at the EuroBasket tournament. At 6'8" and 250 lbs, Diaw is a natural forward. However, his passing skills and ability to score inside have earned him a reputation of being capable of playing all positions on the floor well. This is best seen in the 2005–06 season, during which Diaw started as a bench player, then convincingly subbed as a point guard when starting playmaker Steve Nash (that season's MVP) was injured, then started as a small forward and was finally moved to center when all three Suns pivots got injured, posting impressive stats of 18.7 points, 6.7 rebounds and 5.2 assists in the playoffs despite playing out of position. His breakout season (13.3 points, 6.9 rebounds and 6.2 assists per game) was crowned with the Most Improved Player Award. He is lauded for his unselfish, but assertive play, and his versatility also makes him a triple-double threat: as of March 2016, he has recorded six of them. Diaw's 6 ft 2 in (1.88 m) mother, Élisabeth Riffiod, is regarded as one of the best centers in French women's basketball history, and is a member of the French Basketball Hall of Fame, while his father, Issa Diaw, is a former Senegalese high jump champion. He has a half-brother, Paco Diaw, who was a guard at Georgia Tech, but transferred to Lee University, a small NAIA school in the Southern States Athletic Conference. His other brother, Martin Diaw, played basketball for Division II's California University of Pennsylvania. Diaw and fellow French NBA star and Spurs teammate Tony Parker are long-time friends and former roommates. Diaw was the best man at Parker's wedding to actress Eva Longoria. In 2005, Diaw established a non-profit foundation, Babac'Ards, to organize sports activities for Senegalese youth and aid "developmental education". In 2009, Diaw became vice-president and shareholder of the JSA Bordeaux basketball club in his native France and took over as president one year later. In 2017, he stepped down as president of the club. ^ "Johnson Trade to Atlanta Completed". NBA.com. August 19, 2005. Retrieved June 16, 2014. ^ "Suns trade Bell, Diaw for Bobcats' Richardson". NBA.com. December 18, 2008. Retrieved June 16, 2014. ^ "Bobcats waive Boris Diaw". ESPN.com. March 21, 2012. Retrieved June 16, 2014. ^ "Jazz Acquire Boris Diaw and Draft Pick from Spurs". NBA.com. July 8, 2016. Retrieved July 8, 2016. ^ "Marc Gasol scores 22 points, Grizzlies beat Jazz 102-96". ESPN.com. November 14, 2016. Retrieved November 15, 2016. ^ "Jazz Waive Boris Diaw". NBA.com. July 13, 2017. Retrieved July 13, 2017. ^ Wells, Adam. "Boris Diaw Retires at Age 36; Played with Spurs, Suns, Hornets, Hawks, Jazz". BleacherReport.com. Retrieved September 6, 2018. ^ "Boris Diaw, Are You Ready to Be Tony Parker's Best Man?". aolsportsblog.com. May 8, 2007. Archived from the original on January 17, 2013. Retrieved May 12, 2007. ^ "Babac'Ards - Empowering women & girls in Senegal through sport". iwg-gti.org. Archived from the original on July 22, 2014. Retrieved June 16, 2014. ^ "Boris Diaw annonce son retrait des JSA Bordeaux". BeBasket (in French). Retrieved 2017-03-17. Wikimedia Commons has media related to Boris Diaw. This page was last edited on 6 April 2019, at 07:23 (UTC).